Arequipa-Colca Valley Early departure towards the highlands passing through Yura-Pampa Catahuas and La Pulpera with good possibility of observing groups of wild vicuñas and fighting cattle. Stop en route to see petrogliphs in the Caves of Mollepunco and in the town of Callali to see natural hill formations with the appearance of enchanted castles. Drive to La Calera to enjoy the thermal baths under the stars. Return to Chivay for overnight. Cruz del Condor To maximize your probability of seeing condors we depart very early towards the “Cross of the Condor” at about an altitude of 15,000 feet. 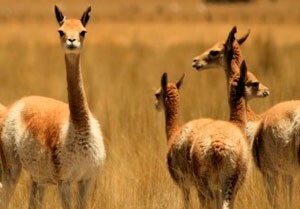 Drive a little further in to the canyon to see some pre-Inca ruins and watch the way of life in this remote land. Return to Chivay for lunch and afternoon return to Arequipa. Transfer from the Hotel to the Airport. After breakfast we will pick you up from your hotel to the airport. 1 City tour in Arequipa. 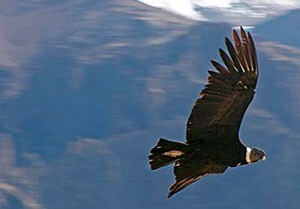 1 Tour to the Colca Canyon. 2 Overnight in selected hotel in Arequipa includes breakfast (according to accommodation). 1 Night hotel in Colca includes breakfast (according to accommodation). 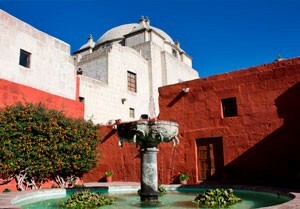 1 Transfer from the airport or terminal to hotel in Arequipa. 1 Transfer from the Airport to Hotel in Arequipa or Terminal. 3 Breakfasts at the hotels. Name of the Airliner (eg: LAN, TACA, Avianca, AA). Approximate time of arrival (eg 10:25 hrs).